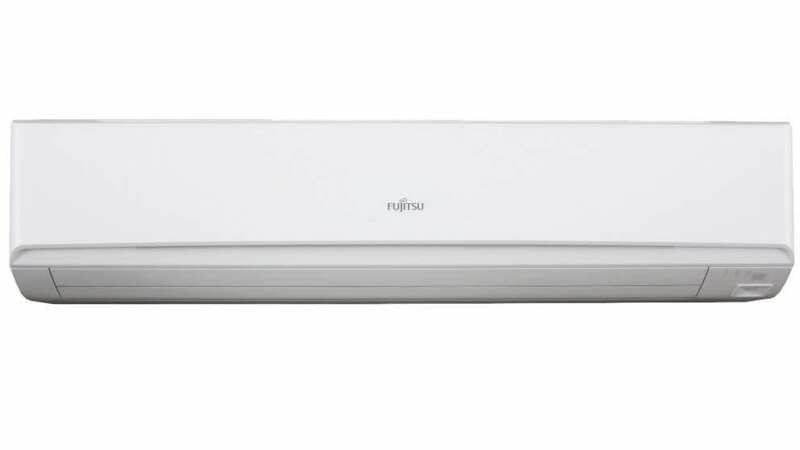 Fujitsu Air Conditioning products are among the best on the market today. Headquartered in Tokyo, Japan, Fujitsu Ltd. is a Global 500 company and an industry leader in the manufacture of computing products. Beyond computing products, however, Fujitsu Ltd. maintains many subsidiaries, one of which manufactures and supplies high-quality air conditioning systems under the subsidiary name Fujitsu General. Fujitsu General provides a wide array of air conditioning and humidity control products for both residential and commercial use. Air conditioning system options consist of split systems, multi-split systems, central air systems, and VRF systems which are large-scale high-performance systems more typically suited for use in commercial building applications. This article will focus on the Fujitsu split systems and central air, which are more suited for residential use. Mini-split ductless air conditioning systems are typically what Fujitsu is known for within the global air conditioning market. These systems are highly popular within the Australian market and are becoming more popular within other markets, such as the US, due to their high-quality air conditioning capabilities as well as their energy efficiency. Unlike standard split systems or central air, these models do not require a system of ductwork to be installed along with registers, dampers, and grills throughout the home. Instead, the mini-split ductless systems combine an outdoor condensate unit with an indoor air handling unit and blower. These air handling units are typically wall mounted and serve rooms or zones within a home individually. A system of air handling units around a home allows for more fine-tuned individual room temperature control and falls within the multi-split systems which are further explained below. Since these systems do not require the use of ducts, they are ideal for older homes or finished attic spaces where the prospect of running ductwork is a costly concern. These systems, however, do not come cheaply and are typically more expensive than their ducted split system counterparts. The costly price can be quickly justified, however, by their increased energy efficiency and effective cooling power. Fujitsu offers many choices within their line of split system air conditioning units including sleek design and various control capabilities. All tout high energy efficiency and heat exchange performance capabilities through optimized technologies. Efficient operation is furthered with human sensor detection do allow higher capacity operation when people are detected in a room, whereas cooling capacity will lower when people leave a room. Like many other air conditioning systems of today, operation via smartphone, tablet, and PC is made possible via internet compatibility within most systems. Increased temperature control capability along with optimized technology make the Fujitsu split system air conditioning units one of the best on the market today. 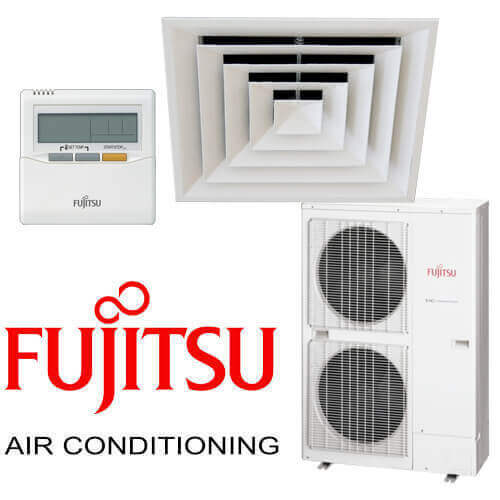 Fujitsu offers multi-split systems which are effectively multiple indoor air handling units that are connected to one outdoor condensing unit. A single outdoor condensing unit within Fujitsu’s family of multi-split systems can handle up to eight indoor units. These units, again, are wall mounted units that do not require ductwork installation. Instead, they are piped with small diameter tubing to the outdoor unit to allow the circulation of coolant. 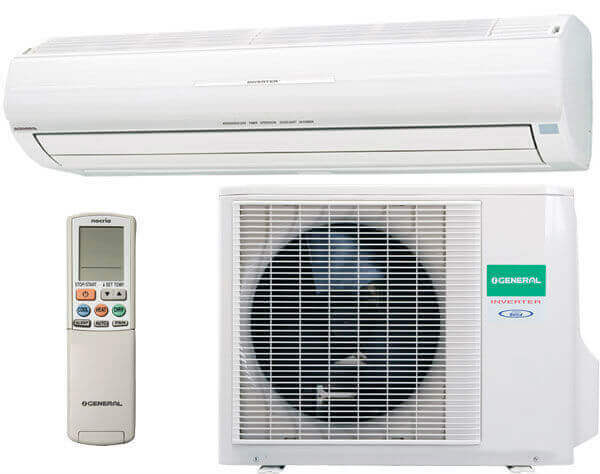 The operation and technological efficiency is similar to the mini-split ductless systems noted above; however, multiple individual controllers along with a single central remote controller are provided for more options in energy saving capabilities. As with the single mini-split systems, the multi-split systems offer much more cost-effectiveness during use due to the ability to control various modes of cooling in different rooms or zones of your home. Also, by removing ductwork from the equation, the energy and cooling losses associated with leaking ductwork systems are also no longer a concern. Despite being an industry leader in the ductless split system air conditioning markets, Fujitsu also offers central air conditioning units. Central air conditioning systems are more popular in US markets and are designed to cool the entire house via one outdoor compressor unit and an indoor air handler unit that blows cooled air through a system of ducts throughout the house. A central air unit still requires a split, outdoor and indoor unit, but they are typically much larger in size and require ductwork to deliver cooled air to individual rooms or zones. Most central air units also operate as a heat pump, which allows for heating during cold months. Fujitsu offers a ducted central air conditioning system that is a touch above the rest when it comes to central air approaches to air conditioning. Most central air approaches are considered less energy efficient than those of ductless split systems due to the ability to more effectively control temperatures of various rooms or zones. This is more difficult to do with central air conditioners, as little can be done to control the volume of air supplied from room to room. This causes inefficiency and poor performance of the central air system, as some rooms may be cooled more effectively than others. Fujitsu central air systems, however, offer slim and compact designs for both the indoor and outdoor units and offer much more control in the way air moves throughout the home’s system of ducts. Fujitsu’s zone control capabilities use a system of motorized and remotely controlled dampers and within each room or zone to adjust the amount of airflow coming into the area. This additional control gives the end user more ability to vary temperatures in multiple zones, thereby increasing energy efficiency. In standard central air systems, dampers are manually operated which provides little in the way of effective day to day control. In all, the Fujitsu family of air conditioners has a product for nearly any preferred application. 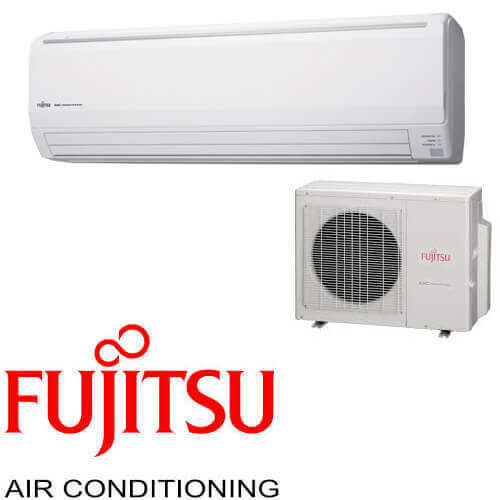 As the leading supplier of air conditioners in Australia, the quality, and efficiency of Fujitsu products is unparalleled to most of its competitors within the air conditioning marketplace. Using a rare combination of slim, sleek, and attractive design along with quiet and efficient operation, it is easy to see how and why the Fujitsu brand of air conditioning units is Australia’s favorite.